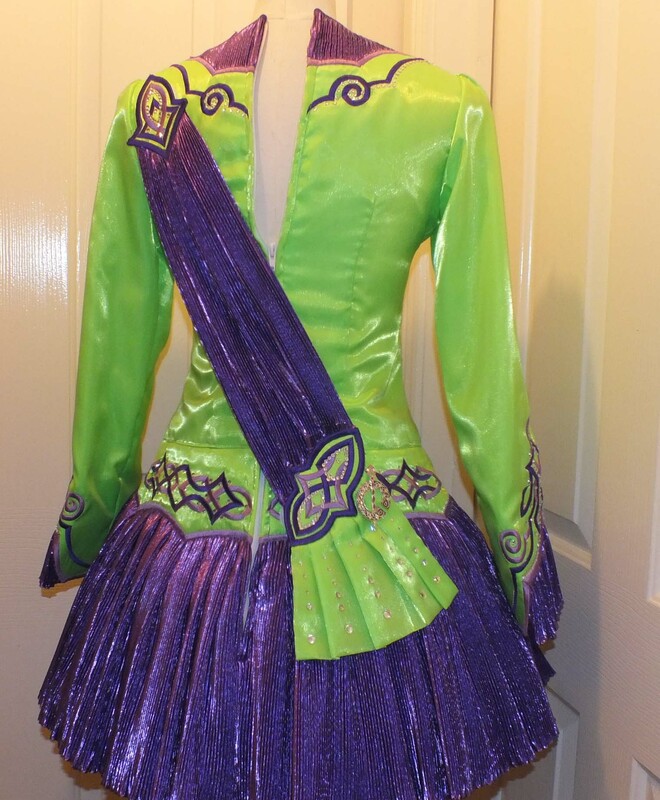 Green satin with both a lighter and darker shade of purple applique (celtic design) and purple crimped, shiny material for skirt and cuffs. 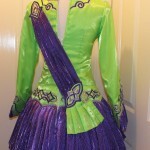 Under skirt consists of Green and White Netted layers. 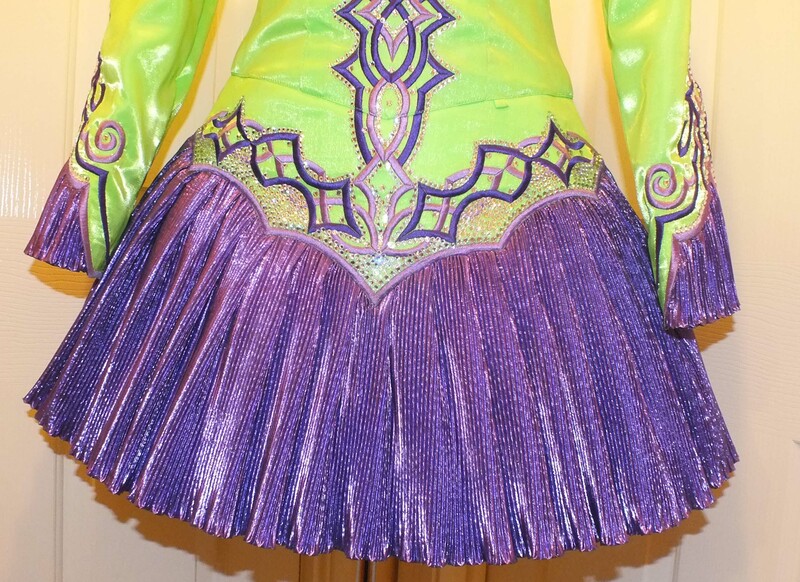 Cloak also made up of purple crimped, shiny material with touch of green, forming pleats at bottom. Swarovski Diamonds used throughout the dress and hairband. Hairband and Tara Brooch is included with dress. 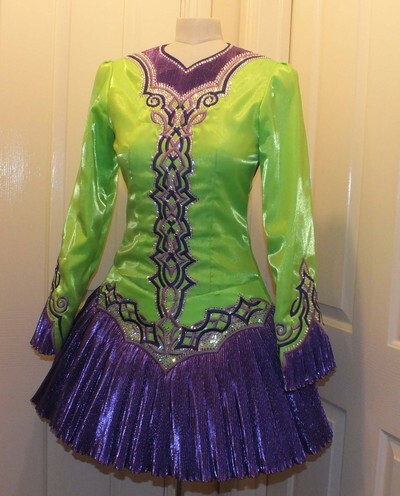 Alterations can be made to dress i.e the dress can be let out and/or let down.